Finding and affording quality care on short notice can be stressful and draining. We can help. Elder law is an aspect of estate planning focusing primarily on the needs of loved ones as they age. There are many legal strategies involved in estate planning, let us help you navigate them. Our firm is devoted to helping Hoosiers protect themselves, their loved ones and their assets in case they become disabled, need skilled nursing care, or have wishes they’d like carried out after their passing. Protect your assets from lawsuits, nursing home costs and the State of Indiana. Obtain Medicaid and other benefits to help pay medical and nursing home bills – without giving up what you’ve worked hard for. Say how your assets are to be distributed after death – by whom and how. Reduce death taxes and the cost of estate administration. Make sure trusted family members or friends have the information and authority they need to act on your behalf, if needed. Give clear direction on what type of medical treatment you want, or don’t want, if you should become terminally ill. If any of these are your goals, give us a call. 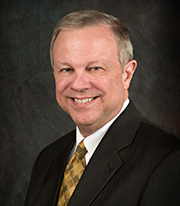 Mike brings years of experience in the insurance and financial services industries, plus specialized training in elder law, to the job. As a former church pastor, he’s also been trained to help families and seniors through difficult times. Names, addresses and other contact information for organizations in Putnam and surrounding counties. Brief questions and answers about legal matters in Indiana, particularly related to estate planning, Medicaid planning and asset protection. Request a free brochure that explains the truth about some common myths regarding Medicaid. Greencastle, IN Medicaid Crisis Planning Attorney, Michael Goss, provides various planning services, including estate planning, wills and trusts, powers of attorney, long-term care planning, Medicaid application and qualification, Medicaid crisis planning, probate and trust administration services, asset protection, charitable planning, special needs planning and veterans benefits. 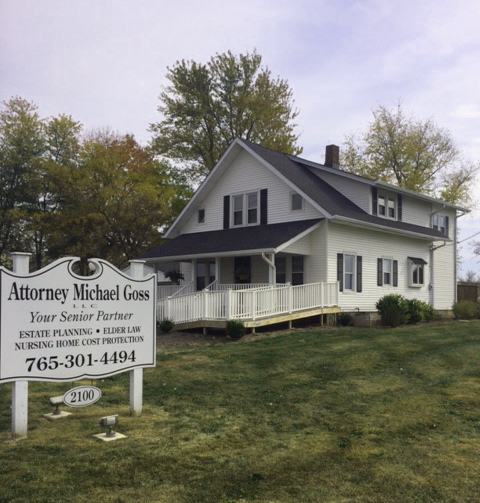 Michael serves clients and their families throughout Greencastle, Putnam County, Mooresville, Morgan County, Spencer, Owen County, Brazil, Clay County, Rockville, Parke County, Crawfordsville, Montgomery County, Lebanon County, and Boone County, Indiana. Copyright © Attorney Michael Goss, LLC. All rights reserved. You may reproduce materials available at this site for your own personal use and for non-commercial distribution. All copies must include this copyright statement. Some artwork provided under license agreement.